2019 could be a banner year for strawberry farmers in Eastern North Carolina. "It's one of the best they've had in a while," said Dexter Hill, the marketing specialist for the North Carolina Department of Agriculture. Most farmers had to delay planting their strawberries because of Hurricane Florence. Then, a cold and wet first quarter of 2019 threatened crops. "The temperatures never got down low enough to cause any severe problems," said Hill. In Eastern North Carolina, strawberry season starts in April and typically lasts through Memorial Day. Agriculture Commissioner Steve Troxler said in a press release that there are plenty of berries this year. Consumers can find locally grown strawberries at farmer's markets, roadside stands, and at pick-your-own farms. 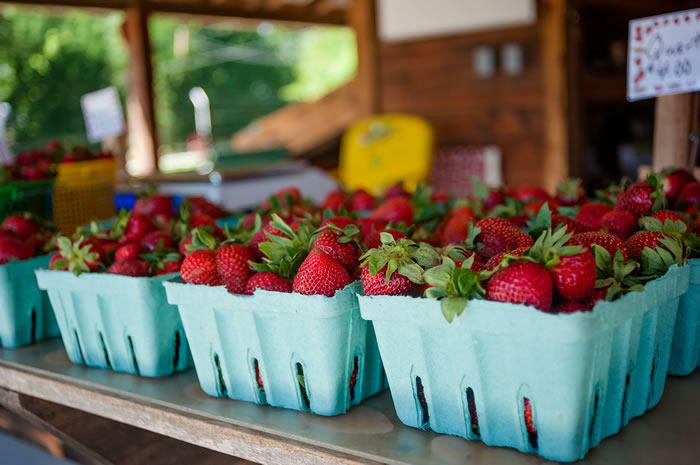 North Carolina is the 4th largest producer of strawberries in the nation, behind California, Florida, and Oregon. According to the U.S. Department of Agriculture, there are more than 1,100 acres of strawberries grown across the state. Strawberry production in NC generates $22 million to $26 million in revenue each year.